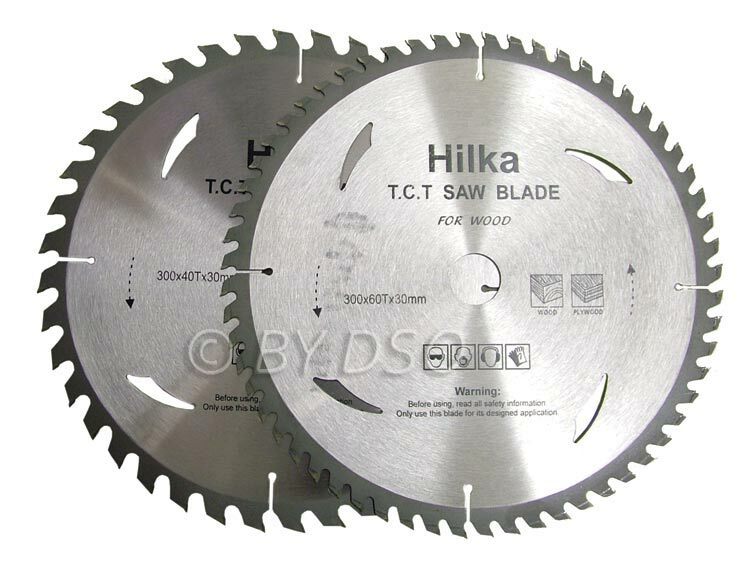 An excellent quality set of Saw Blades with varied number of teeth for use on multiple types of jobs. For coarse, medium and fine cuts. They all are TCT (Tungsten Carbide Tipped). All blades are fully hardened and tempered as they're tungsten carbide-tipped for trade use. They're suitable for hardwood, and softwood chipboard. We repeatably sell these blades to a local builders merchants to help show their durability and quality. How to use? With the blade running at high speed, just apply a light pressure to the saw and let the blade work for you and not you work the blade. If a blade is or pushed or forced into the wood you will blunt or even blue (over heat) the blade. This will happen to any blade regardless of cost. So a light pressure and let the blade work for you. Genuine carpenters trade quality blades.